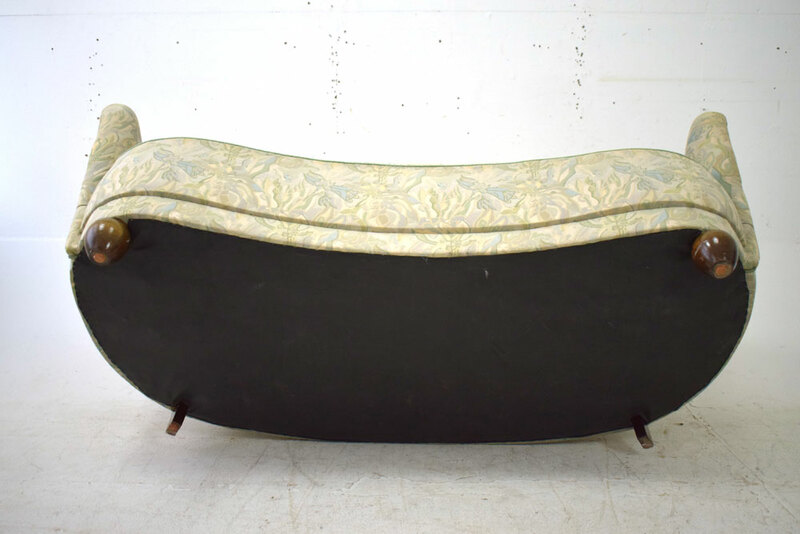 Vintage 1950s 3 seat Danish design banana / kidney sofa with gently curved back. 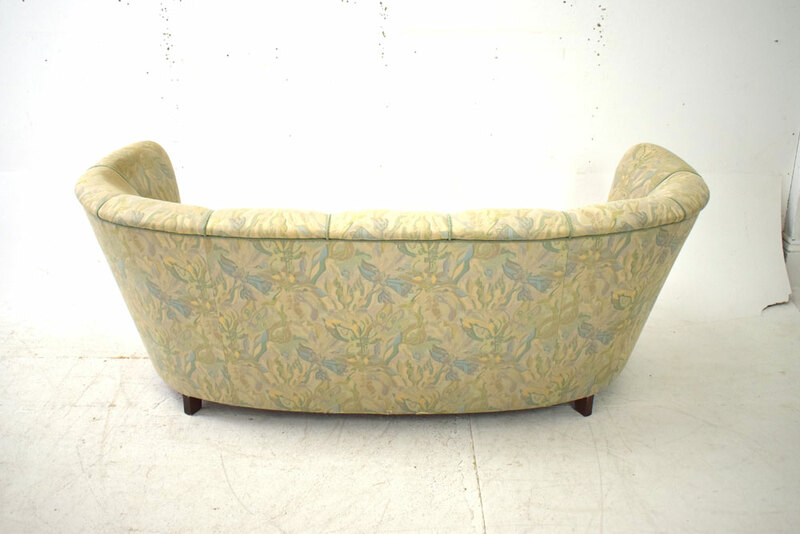 This shapely settee would work brilliantly in a larger bay window. 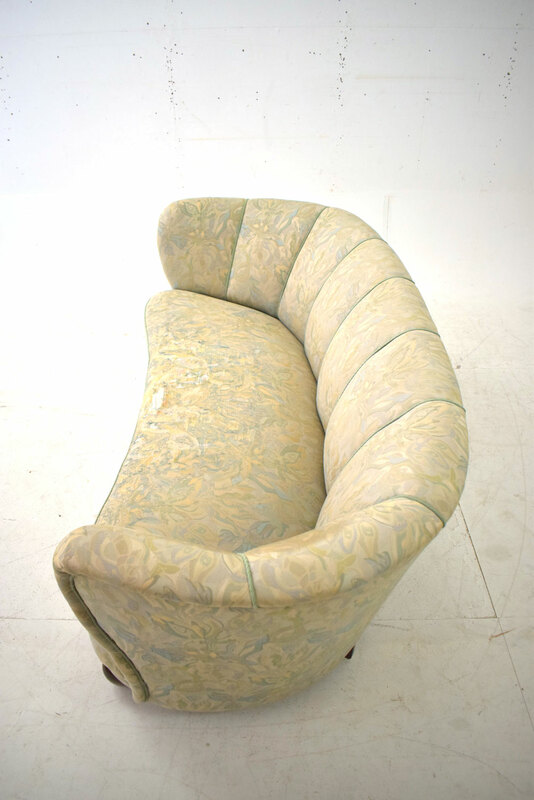 Alternatively, it could be best appreciated in the middle of a room so it could be viewed from all angles. 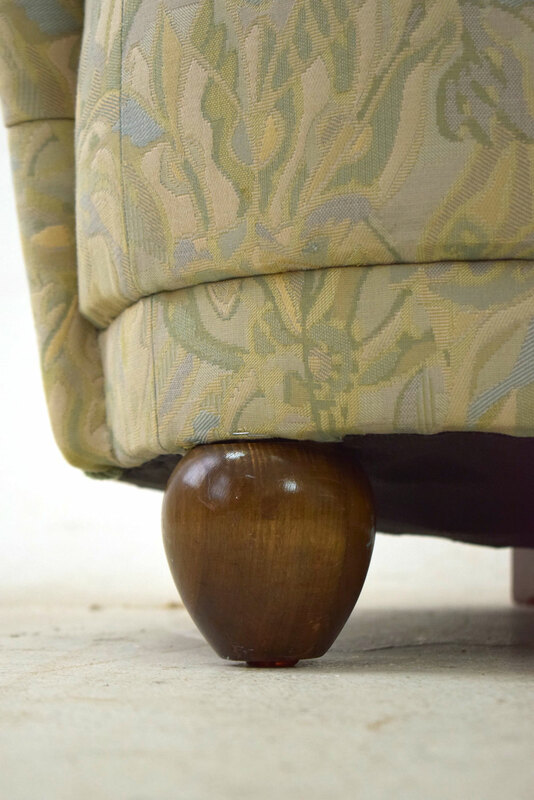 The medium height of the back and length means that it is ideal to divide a room. 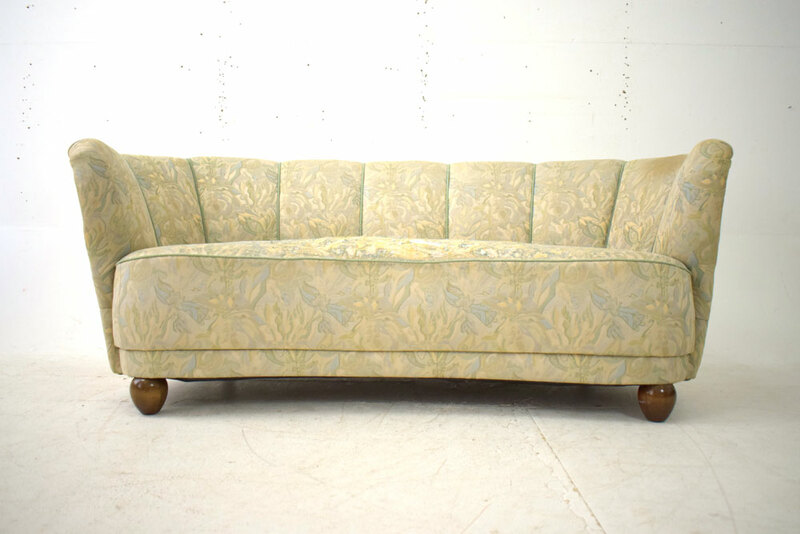 The settee offers excellently roomy and supportive seating, as the seat is sprung, making it very comfortable & springy. 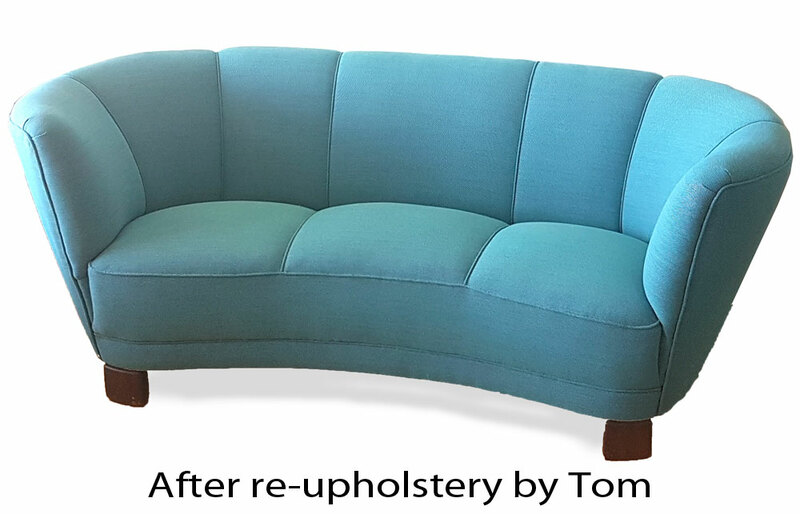 The sofa stands firmly on drop-shaped wooden legs and the sofa does not dismantle. 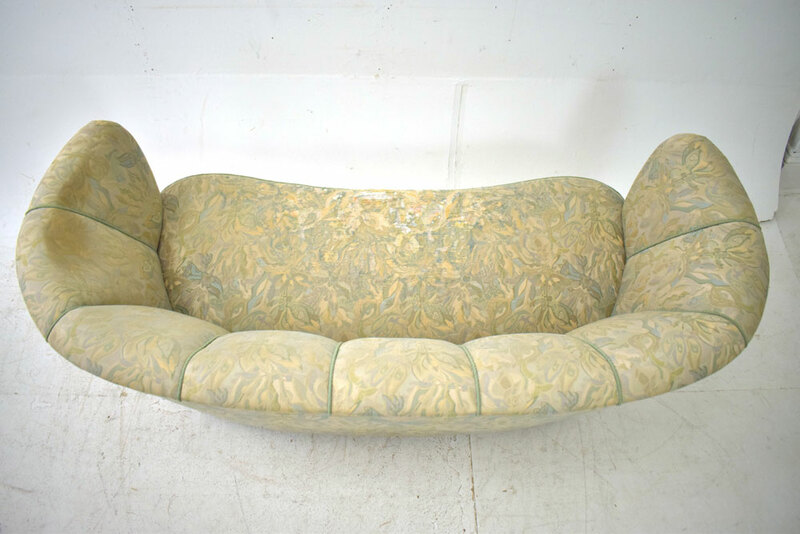 Condition: Good with strong frame and webbing. 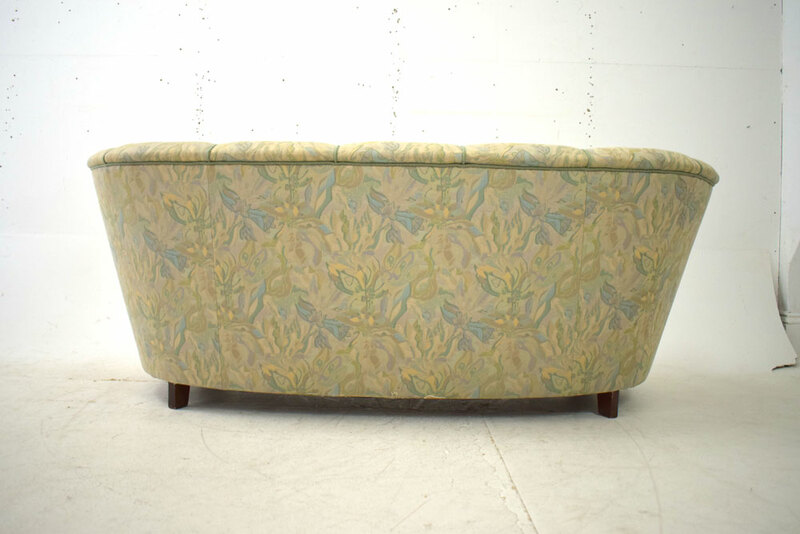 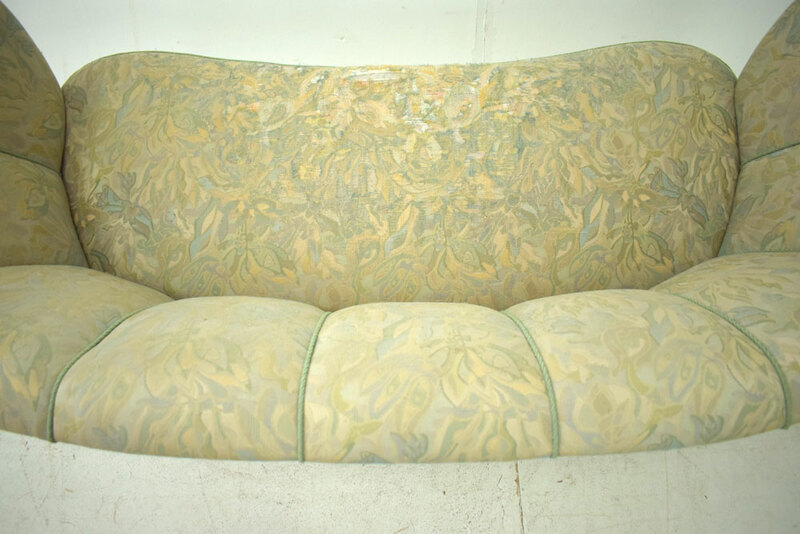 The fabric is badly worn and in need of reupholstery, see images. 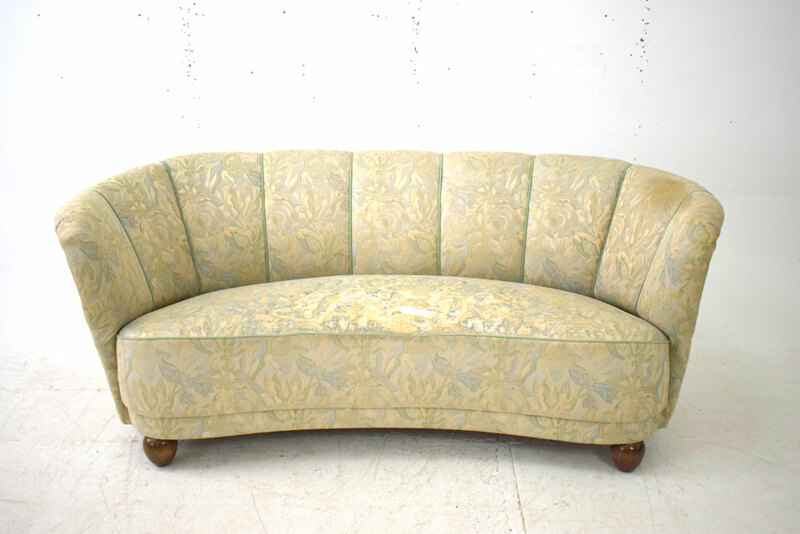 Pop in, call or email and we can talk fabric options and timescale.